These outstanding filters offer revolutionary performance in light transmission and colour balance. They offer a scratch proof, water resistant, 9 layer coating for ultimate protection and clarity. The filters are available in UV and Polarizer upto 82mm. These professional quality filters are made in Japan using precision optical glass that is carefully smelted and blended to yield perfect optical results. Hoya has applied the same care and precision to the multi-coating process, using an improved Super Multi-Coating (IS-HMC) formula to greatly reduce or eliminate reflections off the surface of the glass. These coating are overlaid with a clear water & stain resistant coating that is easy to clean. This makes for easier care and handling of the filter in the field. All coating layers are applied in a furnace to bond the coating to the glass. 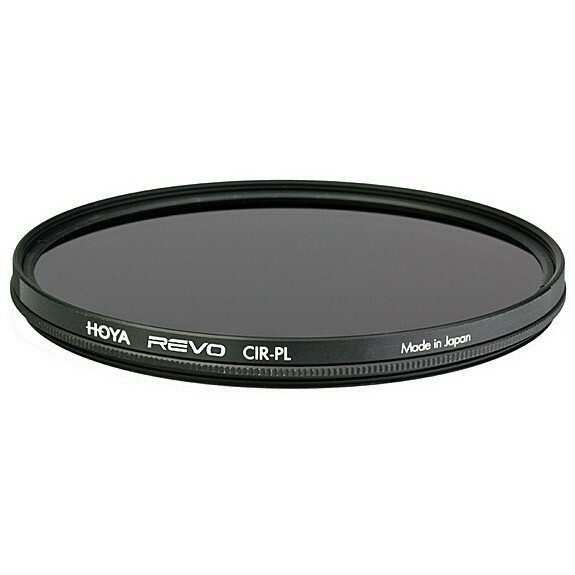 All Hoya REVO filters have very low-profile aluminium filter frames to house the glass and keep it perfectly parallel to the plane of the CCD or COS sensor while providing enough rigidity to hold up to years of use. The low-profile frame also makes the filters compatible with a wide array of super and ultra wide-angle lenses.